So, it’s been a while. My car has been under the cover the past few months, and college has been rolling along. Mini-rant after the jump. 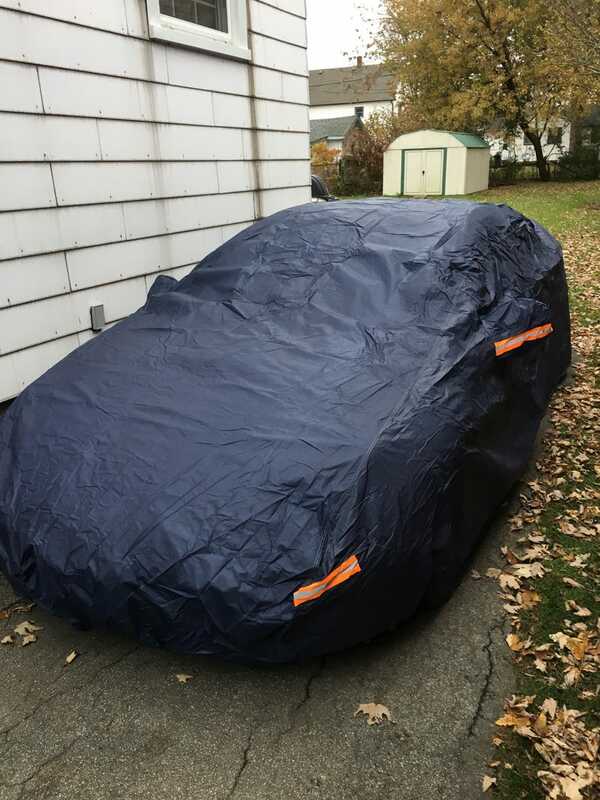 With regards to my Celica, I’ve been forced to put a cover on it to protect it from the elements. Reason: because custom suspension lowered by 1/2 an inch will mean this thing will plow snow with the front bumper (as the previous owner said to me). Passed first semester with flying colours (GPA of 83), second semester started two weeks ago, and been keeping busy with some 10-12hour school days on campus. Not to mention my part-time job for the weekends has finally managed to nudge in and disrupt my timetable for classes, which means I gotta book it out of lab on Fridays at 6:30pm to be home in time to catch sleep for work. Also, workload has increased. Fun! Other than that, been driving my parents Corolla to the campus there and back because of the weather. Also found out that the Corolla, with a 4-speed auto, is slightly less fuel economic than my 6-speed manual Celica. I suspect that’s due to the transmissions, but it’s surprising how I only had to fill up once a week with the Celica, but fill up twice with the Corolla. Anyways, I’m pining to drive my car again. The 4-speed auto in the Corolla is very much soul-sucking. I’m going stir crazy to the point where I’m playing my sim to get my manual fix. Also thinking of the 100 different ways to tune-up my car as well (from ECU reflash to the spark plug replacement that Alex posted about the other day in The Garage).